The incredibly small, blazing fast, and impressively affordable Atom PD1 was Anker’s headlining CES 2019 product... for obvious reasons, but the mobile accessories manufacturer actually had a lot more to showcase in Las Vegas. 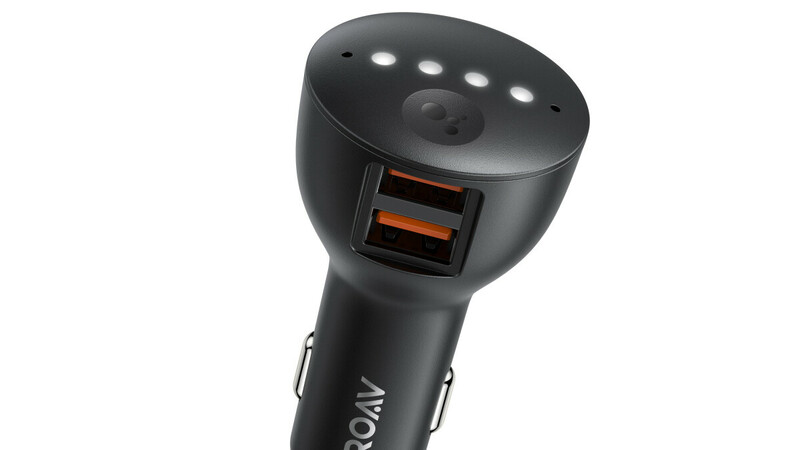 The Roav Bolt, for instance, is billed as a smart car charger focused on a “safe and helpful driving experience for everyone”, pairing with your phone’s Google Assistant for voice-controlled navigation, calling, music streaming, reminders, schedule updates, and weather information. If that sounds familiar, it’s because the JBL Link Drive can perform pretty much the same tasks with similarly powerful microphones and even largely the same design. The Anker Roav Bolt is however slightly cheaper, at $49.99, with pre-orders already underway. Next up, the Anker Wakey “all-in-one bedside alarm clock” is no Lenovo Smart Clock rival, lacking touchscreen capabilities and voice assistance while instead supporting wireless charging functionality. That’s not a bad way to save some nightstand space, especially with FM radio support also in tow and a couple of decent 5W speakers. On the not so bright side of things, the Wakey isn’t exactly crazy cheap, at $100, heading for US stores sometime in the spring. Four different portable speakers wrap up Anker’s CES 2019 product lineup, starting with the extra-small, floating, waterproof Icon and Icon Mini. The Rave and Rave Mini are significantly larger and more powerful, boasting “body-shaking bass”, IPX7 waterproofing, and price points of $200 and $150 respectively. That’s not such an expensive way to get the party started with up to 160 watts of sound, now, is it? No it doesn't. The car charger should come with quick charge 3.0.